The Dell Latitude XT is one of the thinnest 12.1” convertible tablets in the market and is designed to give you a superb user and ownership experience. It’s sleek, innovative design makes it ultra-portable and simple to use, and its reliability and comprehensive service and support make it cost-effective and convenient to own. Based directly on customer feedback, Dell has developed the Latitude XT with multi-touch ready capabilities, high performance capacitive touch input and pen input to allow you to work the way you want. Fully tested 100% functional... Excellent condition !!! Cosmetic Condition: - No screen defects!!! 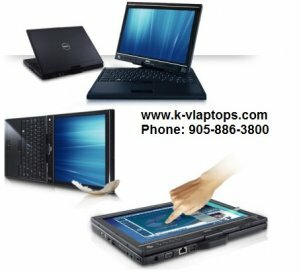 Dell Latitude XT Tablet PC: Off-Lease Grade A!! !